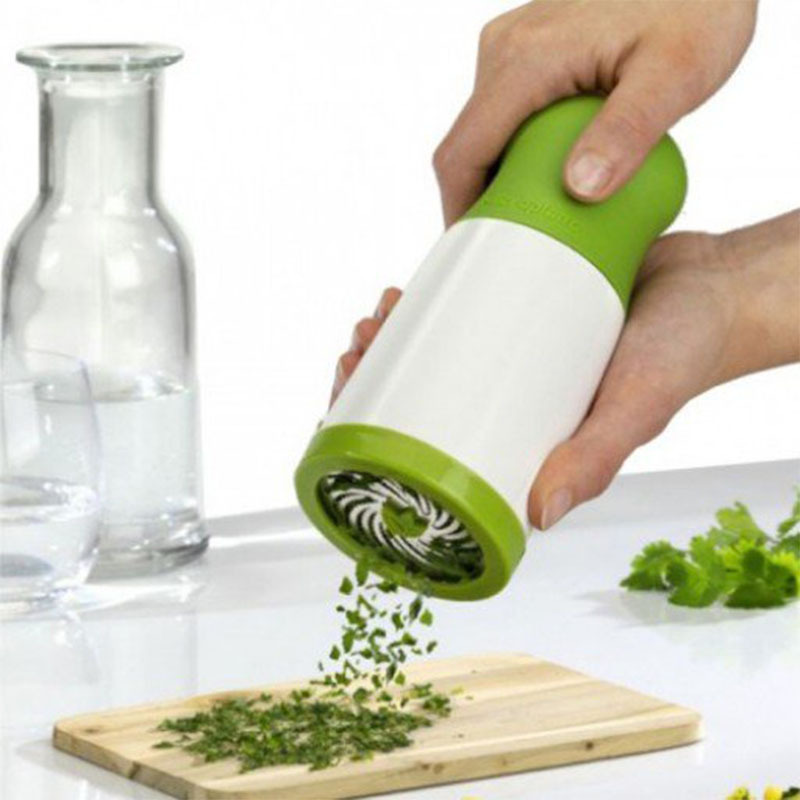 Cleanly mince dill, cilantro, mint, parsley and more with a simple twist of the ergonomic handle. 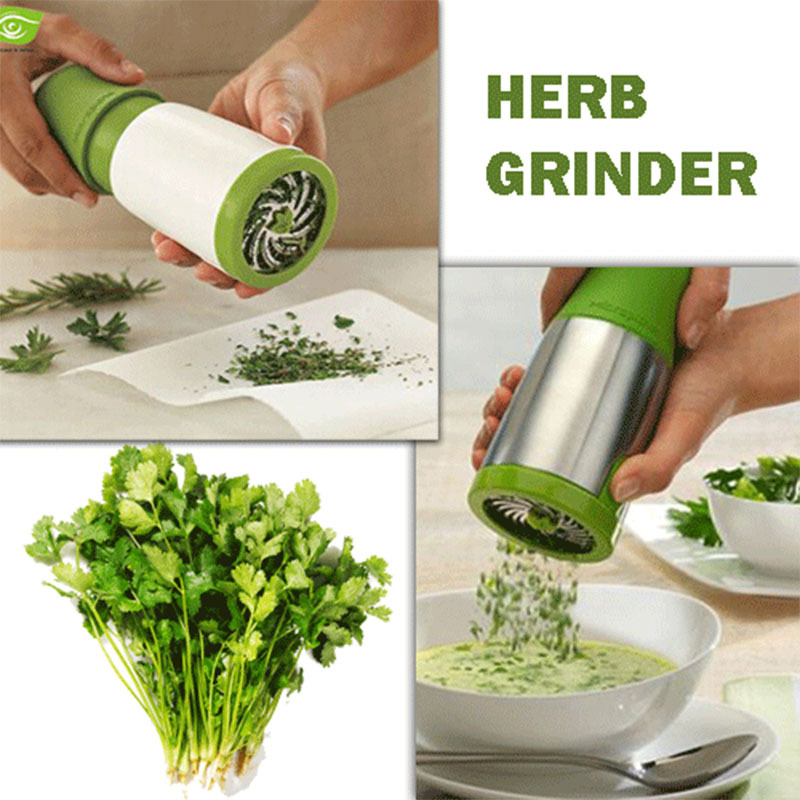 Stainless Steel Blades are Razor sharp so there is no tearing or bruising of your herbs. Twist the soft-touch ergonomic handle to dispense, and keep hands free of aromatic herb moisture. 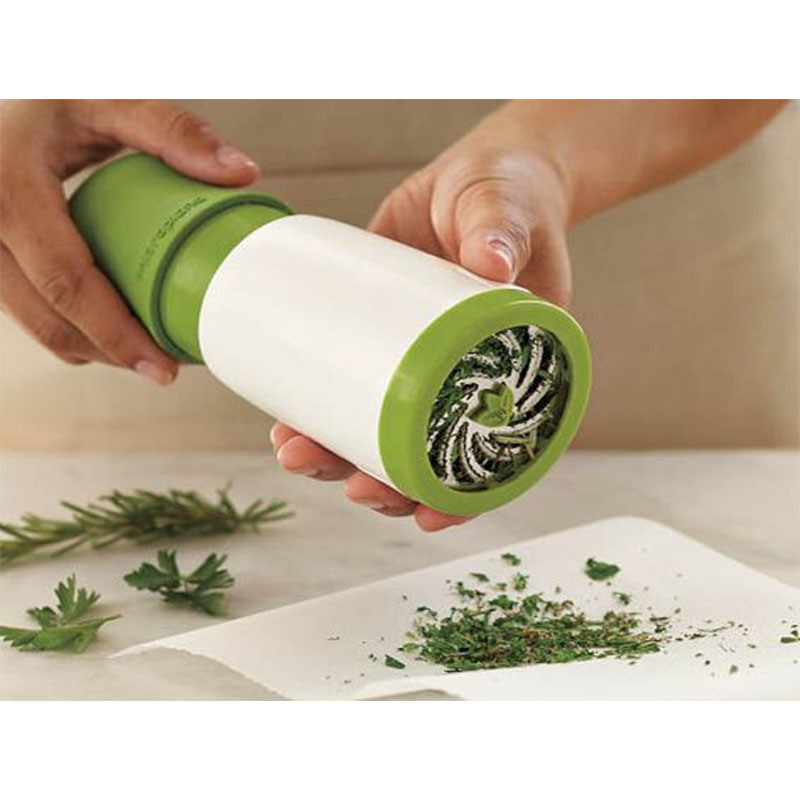 Easy top-fill, large-capacity chamber will also store a generous supply of patted-dry herbs.